Remember that Norman Reedus zombie prank that we covered on the website last month? 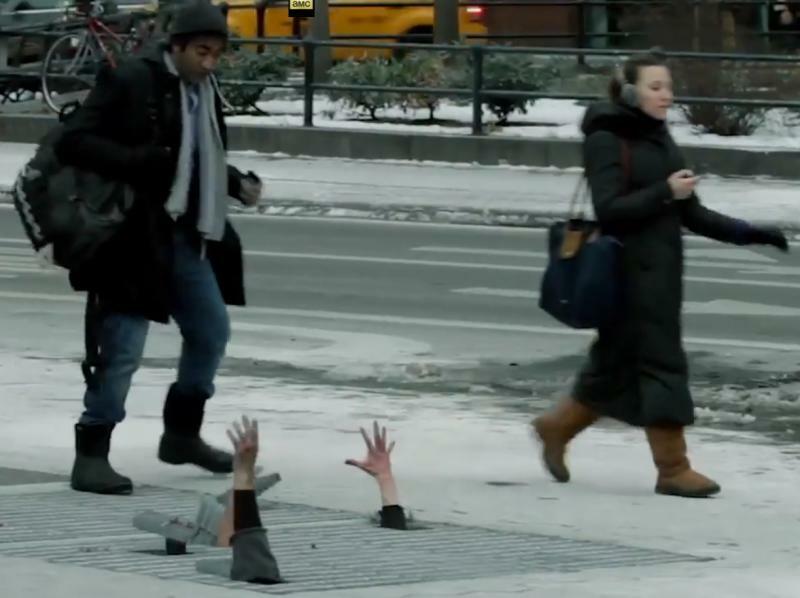 Well, to advertise and spread some anticipation for the new season of The Walking Dead, AMC had a bunch of fans made up as zombies that are reaching out of a grates to terrify random New Yorkers. You can check out the hilarious reactions below, in an attempt to hold you over in anticipation for the return of The Walking Dead this Sunday. Do you like this recent trend of viral prank and marketing? I currently like it, but I hope it doesn’t become stale by people over-doing it.